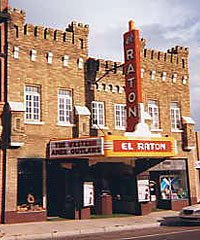 Movies at the Historic El Raton Theatre are shown in 2D and Dolby 3D when available. All movies shown at the Historic Shuler Theater are only available in 2D. Please refer to the calendar for scheduling. ©KEM Enterprises. All rights reserved.